Valerie Connelly is the Executive Director for the Maryland Farm Bureau since November 2013. She has been on staff with the Maryland Farm Bureau since May of 1995. Previously she worked as Legislative Director for three members of the House of Representatives on Capitol Hill for 10 years. In that role, she was responsible for analyzing all legislative issues before the Congress. She served as primary staff contact for the Energy & Commerce Committee, the Banking & Financial Services Committee and the Judiciary Committee. Valerie has served on the Governor’s Commission on Migratory and Seasonal Farm Labor, has served as 1st Vice Chair of the FORVM for Rural Maryland and as a member of the Maryland Air Quality Control Advisory Council. 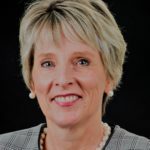 She has been a member of the Department of Agriculture’s Nutrient Management Advisory Committee, the Task Force on Agricultural Land Preservation and the American Farm Bureau Federation’s General Counsel Advisory Committee. Currently, Valerie serves on the steering committee to implement the Maryland Agricultural Commission’s Strategic Plan for Agriculture and is on the board of the LEAD Maryland Foundation. Valerie holds a Bachelors of Science Degree in Political Science from American University. She resides in Cecil County with her husband, Steve, and three children. Colby Ferguson is the Government Relations Director for Maryland Farm Bureau, beginning his role in December 2013. Colby was the Agriculture Business Development Specialist for Frederick County for nine years prior to joining the MFB team. In that capacity, he worked with elected officials at the state and local level to implement legislation important to the farm community. Prior to his county position, Colby was the sales and marketing manager for Sinclair Cattle Company, a purebred Angus ranch in Pennsylvania. He has also been a nutrition specialist for dairy, beef, swine, sheep and horses with Southern States Cooperative. 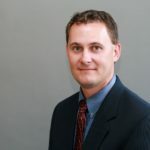 He holds a bachelor’s degree in animal science, biotechnology from Oklahoma State University. He is a 2006 LEAD Maryland fellow and currently serves on the LEAD Maryland Board of Directors. 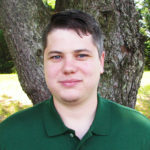 Colby also serves on the Maryland Agriculture Council Board of Directors and represents Maryland Farm Bureau on the MD Aquaculture Coordinating Council and the Maryland Commission on Climate Change. Ferguson is an experienced livestock judge and coach and lives with his wife, Stacy, and two children, Chase and Mickinzi, in Walkersville. As the Eastern Shore Regional Director for MFB, Trish works with the 9 counties on Maryland’s Eastern Shore as the liaison with MFB and their local affairs representative. She works with county Farm Bureau Presidents to recognize county issues and provides leadership development training. Trish also works to increase membership on the Eastern Shore counties and tracks local or regional activities that impact farmers. 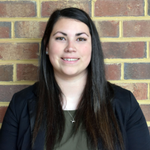 Prior to joining MFB, Trish worked as an Animal Health Intern with the Maryland Department of Agriculture, Government Relations Intern with Maryland Farm Bureau, and Loss Control Representative for Nationwide Agribusiness. She attended Delaware Valley University where she earned a B.S. in Animal Science in 2015. Trish resides on the lower shore with her husband, Bret. Cathy Kaptain joined the Maryland Farm Bureau staff in July of 1998, as Administrative Assistant to the Administrator. In 2005, she was promoted to Accounting Director. 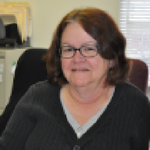 Cathy is responsible for the financial reporting of Maryland Farm Bureau and Maryland Farm Bureau Service Company as well as annual audit preparation. She is also the treasurer of the Maryland Farm Bureau PAC. She resides in Eldersburg with her husband, Donnie. 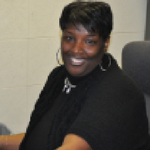 Tonya M. Kennedy is the Director of Membership Services and Records for the Maryland Farm Bureau. She has been with the organization since March of 1990. Tonya’s primary responsibility is to maintain consistent growth in membership and promote member benefits. 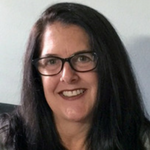 In that position, Tonya has assisted in developing three membership databases during her tenure and continually researches new opportunities for group benefits. Before joining the Maryland Farm Bureau, Tonya worked for the State Highway Administration as an Executive Assistant. She resides in Windsor Mill. 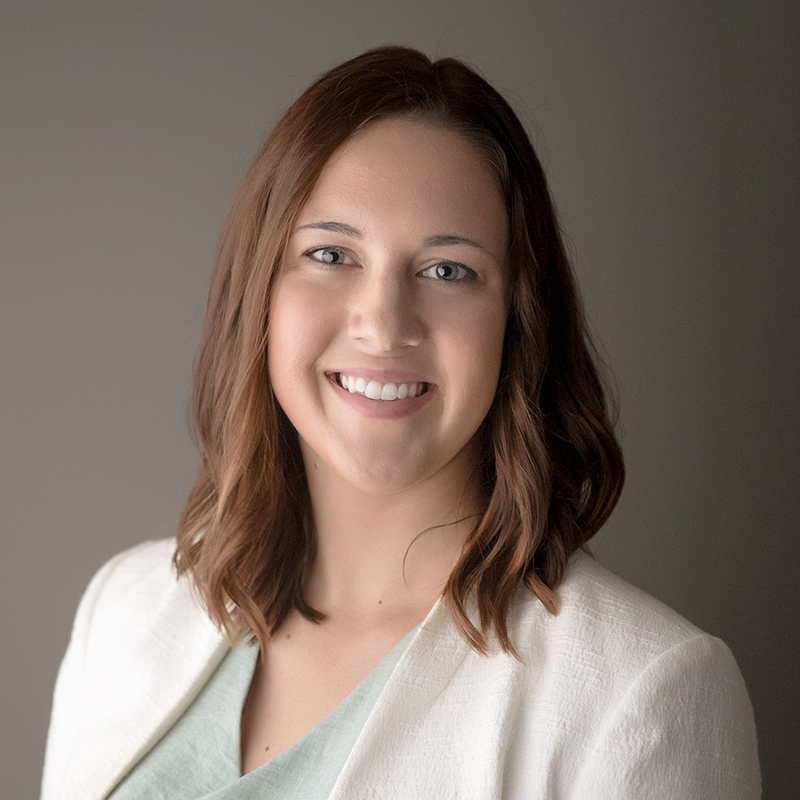 As the Communications Specialist, Solis manages Maryland Farm Bureau’s social media platforms, media inquiries, online accounts, and marketing materials. Solis works to communicate membership benefits and share ever-changing agricultural policy with MFB families and the community. Solis has previously worked at the University of Maryland’s dairy research facility, the Wye Angus research farm, and interned with the Animal Agriculture Alliance. She graduated from the University of Maryland, College Park in May of 2018 with a B.S. in Animal Science. She grew up raising beef cattle in southern Maryland and currently resides in Kent County. Lisa Storm joined the Maryland Farm Bureau staff in October of 2017 as the Office Manager. Lisa is responsible for answering all incoming calls and assisting in the membership department. Prior to joining the Maryland Farm Bureau, she worked with General Electric (GE) High Voltage Electrical Sales and Customer Support for 9 years. She and her husband live on a small hobby farm in Harwood. 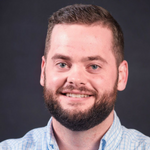 Parker is the Director of Organization and continues his previous role as the Southern Maryland Regional Director, working with the 7 counties from Howard to St. Mary’s as both the liaison with MFB and as their local affairs representative. In addition, he also works closely with the Government Relations Director to monitor legislation and regulation that affects farmers statewide. Parker serves as the staffer for the Young Farmers program. Prior to joining MFB, Welch wrote for Holstein World and was an Associate Editor and Marketing Assistant. He attended Virginia Polytechnic Institute and Virginia Tech to earn a degree in Dairy Science and a minor in Professional Writing. Welch has been active in 4-H and several dairy clubs in Maryland and New York. As the Western Maryland Regional Director for MFB, Zimmerman works with the 7 counties from Garrett to Harford as both the liaison with MFB and as their local affairs representative. He works with county Farm Bureau presidents to recognize county issues and provide leadership development training. Ryan also serves as the staffer for the Women’s Leadership program. Zimmerman got his start in agriculture while working on his family’s dairy farm in Dickerson, MD. He is a recent graduate of Virginia Polytechnic Institute and State University where he earned his degree in Dairy Science, with an emphasis on management. Previously, he worked as a National Sales Representative for CowBuyer.com, completed a sales internship with Alta Genetics, and worked on his college campus for Student Engagement and Campus Life. He also volunteered as the Dairy Judging Coach for the collegiate team at Virginia Tech. Zimmerman currently resides in Littlestown, PA.